Parking Garage @ Hope & 6th ($5.00 /w Validation). OUR 1ST SUMMER MIXER OF THE SEASON!!! Drink, chat, be merry! Hang with old friends and meet new friends! 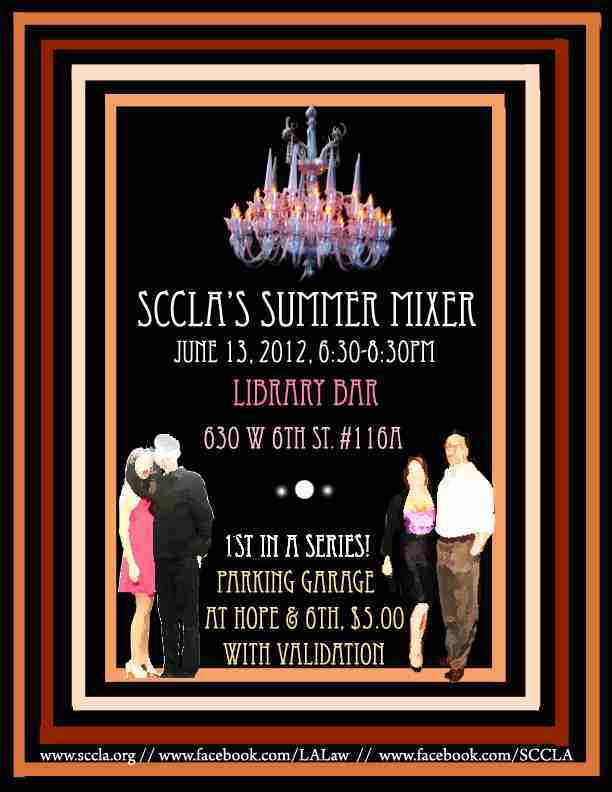 School's out so let your hair down and kick back with SCCLA!